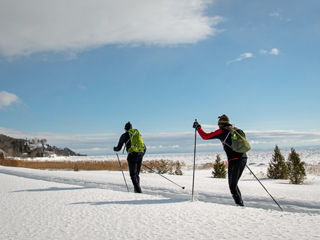 Initiated by two physicians and sports enthusiasts, Dr. Danielle Ouellet and Jean-Luc Dupuis, supported by a team of exceptional volunteers, the Virée Nordique de Charlevoix is an event that promotes health and healthy living habits through original winter sports activities. All event activities take place in Charlevoix’s unique and breathtaking setting of sea and mountains. Mark your calendars! The 6th Virée Nordique de Charlevoix will be held from February 14 to 17, 2019.